We know how important toilets are in the fight against water contamination and diarrheal disease. But because of infrastructure and cost, conventional toilets don’t always work in developing countries – and as a result, 35% of the world’s population to lack access to basic, working toilets. 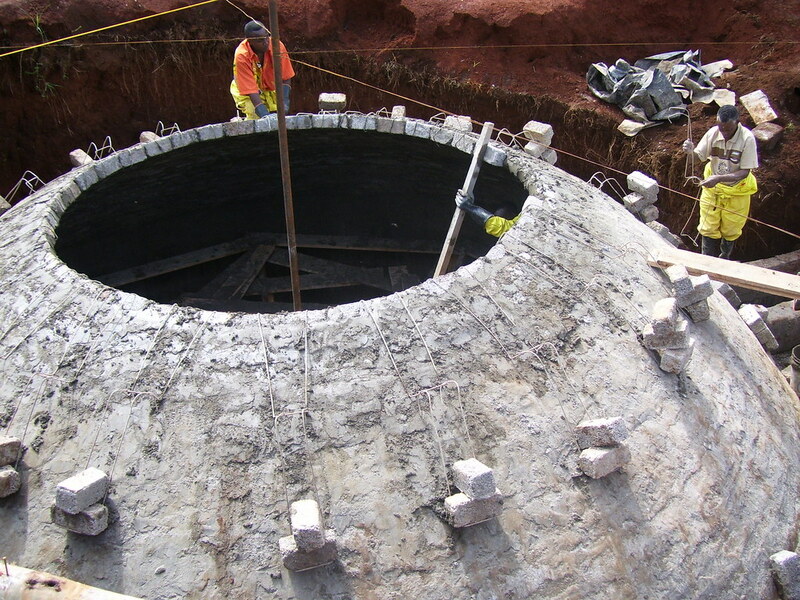 Bio-digester toilets are designed to convert human waste into gases and manure. Waste from toilets are sent to a giant underground bio-digester tank where fermentation takes place. Gases from the tanks can be used for different purposes, including firing up gas stoves and heating devices and generating electricity. The leftovers (popularly called Humanure or ‘Human manure’) can be used for gardening and farming. And besides, very little money has to be spent on treating the waste products. Of many groups working on such toilets, India’s Defence Research and Development Organisation has notably partnered with the UK-based Caparo Group to manufacture such toilets on a large scale for India’s villages. Now that’s definitely a mouthful. 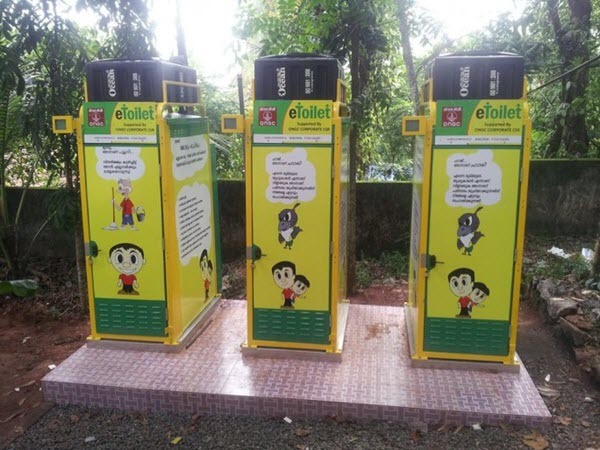 Over 2014, an Indian company, Eram Scientific, has been rolling out automated and self-cleaning solar-powered cleaning toilets. Sleek and made of stainless steel, the toilets, according to its manufacturers, are designed to be installed in locations where access to electricity and common sanitation methods is difficult, if not impossible. These toilets also come with GPS units, sensors to track usage and functionality as well as “customer support facilities.” Wow. Now, this is arguably low-tech. Low tech, but cheap and scalable. As the name suggests, bamboo toilets are those whose structures are built with bamboo, fast growing woody evergreen plants that have strength comparable to steel. Bamboo toilets represent an eco-friendly and potentially sustainable solution in the quest for building toilets in areas that still do not have access to modern amenities. Bamboo toilets are being promoted by many organizations, with some prominent ones being UNICEF, Stockholm Environment Institute and the South Asia Bamboo Foundation. With a $ 777,000 grant from the Bill and Melinda Gates Foundation as part of the “Reinvent the Toilet Challenge,” researchers at the University of Colorado Boulder, in March 2014, developed toilets that were equipped with parabolic mirrors. The mirrors were used to concentrate the sun’s rays and heat up the waste collection chamber of the toilet to 600 Fahrenheit! The result: conversion of waste into charcoal (“bio char”) which could then be used as fertilizer. Yes, you read it right! An indoor composting toilet that costs less than $200 per unit, the Crapper is designed to work like a garden composter. The toilet has a spinning drum that collects waste, aerates it and reduces the volume of waste by 80%, reduces odor and the number of dangerous pathogens. The drum is emptied every 3 months and the compost is collected and used for various purposes. The manufacturers, Toilets for People, say that the cost of the toilet can be covered using micro loans and subsidies over the course of a year. The self-described “toil-o-preneurs” put toilets on rickshaws (three-wheel vehicles commonly found in Asian and African countries) and make them mobile! Their second idea: empower those who are disproportionately affected by the problem of not having a toilet – women – by providing micro-loans and encouraging them to start renting out toilet visits. Based in Haiti, SOIL is a nonprofit that has been active since 2006 and has received considerable media attention in the past. SOIL makes ecologically friendly toilets designed to reduce cost and make the best use of locally available materials. SOIL uses multiple models of toilets based on the nature of target locations. A prominent feature of most models, however, is the separation of liquid and solid waste and the conversion of solid waste into rich agricultural compost. World Toilet Day is November 19. Check out the work Water.org and PATH are doing around the world to increase access to toilets.